The American Medical Association (AMA) is the largest group of physicians and medical students in the country. Through the collective voice of its members, the AMA affects change that advances the state of healthcare for physicians, residents, medical students, and patients. 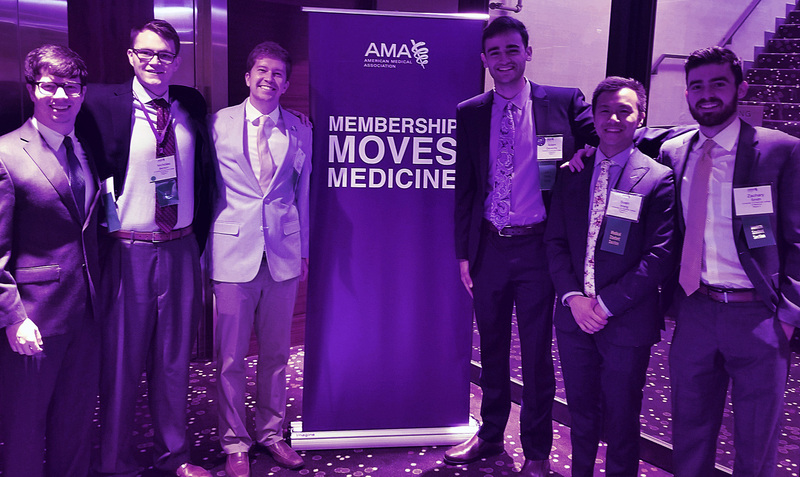 As University of Cincinnati’s chapter of both the AMA’s and Ohio State Medical Association’s (OSMA) Medical Student Sections, we advocate through hosting local and regional events, writing resolutions that inform official AMA and OSMA policy, and getting involved at every level of organized medicine. AMA/OSMA members at UCCOM can attend chapter events, join our Executive Board, write resolutions, run for state or national leadership, and much more. Copyright © UCCOM AMA. All Rights Reserved.